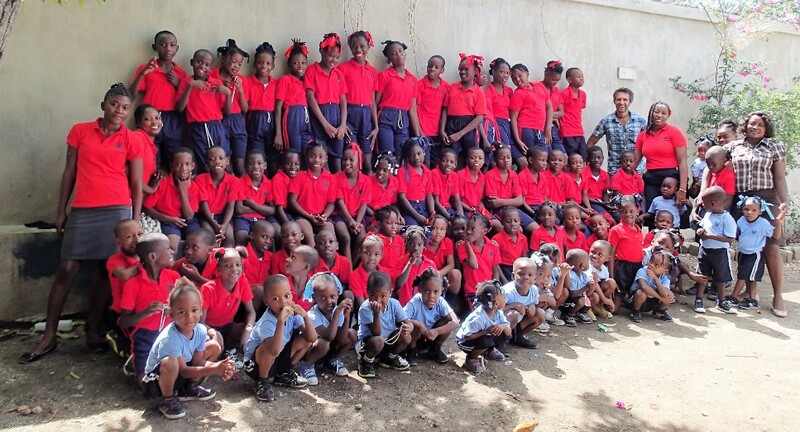 We are proud to announce that our sixth school year started this October in our beautiful primary school in Haiti! We have 70 students and 8 full-time employees! Thanks to your donations and the involvement of our dedicated volunteers, we have raised over $17,000 this year! We used 100% of the donations received to continue with the construction of the ground floor for the 2-story building which will eventually hold 10 classrooms. We have completed the main structure and the ceiling for 2 out of the 5 classrooms on the ground floor. Furthermore, 4 volunteers from the eastern townships took part, at their own expense, in a humanitarian trip to Haiti, where they organized a summer camp for the kids in the community.